Quantity 10 each : 1/4", 3/8", 1/2", 3/4", 1", 1-1/4", 1-1/2", 1-3/4", 2"
* Button plugs with flush-type heads can be used for plugging holes in equipment made of sheet metal, such as automobile bodies, tanks, refrigeration units, etc. Can be snapped into holes easily Held in place by a bead until deliberately removed. View More In Biscuits & Plugs. 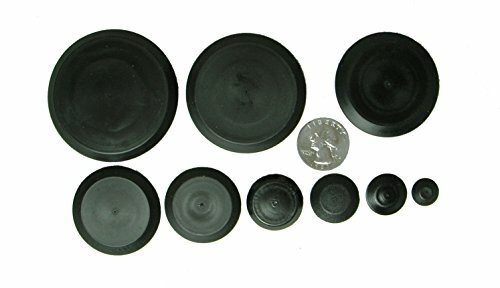 12 Pack- 1" Black Plastic Plug for Round Tubing, 1 inch OD End Cap Chair Glide Insert Finishing Plug.